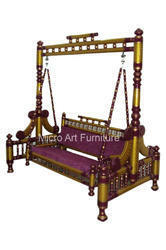 Providing you the best range of antique wooden swing, designer wooden swing, ethnic wooden swing, traditional wooden swing, sankheda indoor wooden swing and sankheda wooden swing with effective & timely delivery. This Hand carved wooden Swinghave a timeless elegance and will look impressive in any Living room.It can be made to order to your specific requirements and bespoke sizing. 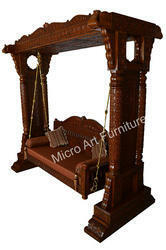 This Hand carved wooden Swing with barmeri carving have a timeless elegance and will look impressive in any living room.It can be made to order to your specific requirements and bespoke sizing. 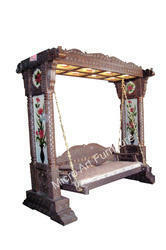 We offer handcrafted wooden swing in rajasthani barmeri carving.